Ha! I have so many books that I try to savor, wanting to hold them dear and never let the story end. But alas, I don’t have your strength of character. When I should be slowly studying their craft, instead I race through their prose, devouring and binging on sentences as fine as lace cookies. i always admired people who could race through the pages! i’ve always been afraid i’ll miss something. and i have just now finally realized that you are a writer too! with an AWESOME BLOG! Dude, I read that book every 5 years or so. I’m sure I have a copy sitting in that disaray I call a book shelf. With the coming of the kids I’ve had to read it to remind myself of the majic of childhood. 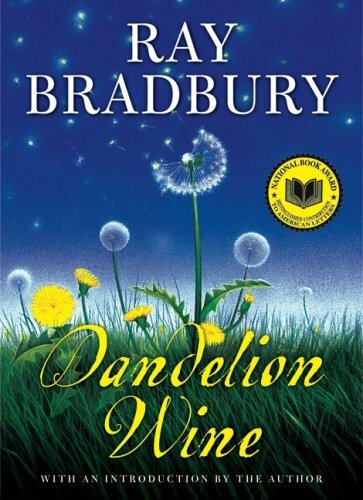 When ever I walk barefoot through lush green grass I think of that book. Get my drift? I love that book along with his “Something wicked this way comes.” Looking forward to reading your book. By the way, check out “Enders game” Blew my mind how an adult can nail the way a kid thinks. Kind of a “Lord of the flies” meets adventure story in a low key sci fi setting. awesome stuff Scott. thanks for the recommendations. I will definitely check out enders game. sounds perfect for right about now. also- you gotta write your own stories sometime. i dig the way you think and write.